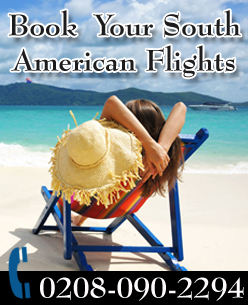 Argentina is one of the most exciting countries to visit in the region of South America. The country share a vast coastline with the South Atlantic Ocean and is home to several exotic beaches, mountains, lakes, glaciers, and grasslands. The countryprovides the visitors with a holistic travel experience as it entails a list of astounding destinations that are sure to blow you away.The visitors will find themselves to be swayed by the enormous and dazzling beauty of the country. The capital city of the country is Buenos Aires and is one of the most beautiful destination in the entire continent of South America. The city is famous for its fresh atmosphere and a wide range of astonishing travel itineraries. Other prominent cities known for their tourist attractions include the Puerto Iguazu, Mendoza,Rio Gallegos and Ushuaia. The Iguazu Waterfalls situated near to the border with Brazil are one of the most famous destinations in the country with its name in the seven natural wonders of the world.Argentina also encompasses a range of natural and wildlife parks with a diversified breed of plants and wildlife species. A massive number of explorers visit the country for exploration and research. TravelWideFlights is providing the people of the United Kingdom with cheap flight deal to Argentina with the best Airlines of the world including British Airways,, United Airlines, American Airlines, and KLM,. Our team is also specialized in providing the clients with bookings and reservation in the quality hotels and resort of the country. Contact us for further queries.